Get the free guide. We show you 30% more homes for sale than sites like Zillow and Trulia. Get New Listing Alerts: 30% More Homes And Faster Than Zillow! Our city is the heart of "The Eastside", the booming business engine of the greater Seattle metropolitan area. Bellevue homes are some of the most sought after in the region because of the beautiful scenery, booming job market, vibrant shopping and dining scene, as well as the best schools in the Northwest. Bellevue is located a few miles East of downtown Seattle, just across Lake Washington. You can access Seattle via either the I-90 or SR-520 floating bridges from Bellevue. Staying on the Eastside, you can easily get to some of the Bellevue area's top employment destinations such as Microsoft, Expedia, and Costco. 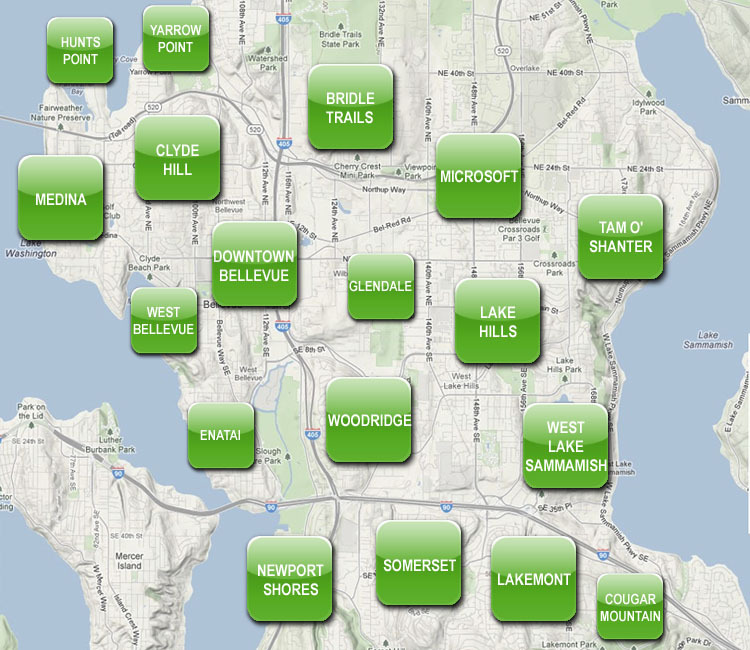 Finding the right Bellevue home will require us to know the kind of neighborhood you'd prefer. 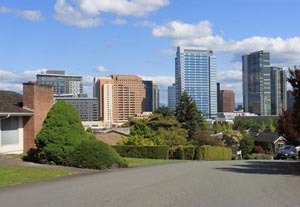 Downtown Bellevue has condos in urban walkable locations, while nearby West Bellevue neighborhoods have quieter residential atmospheres. Homes in waterfront Bellevue neighborhoods range from secluded quiet estates to busy lakefront locations. 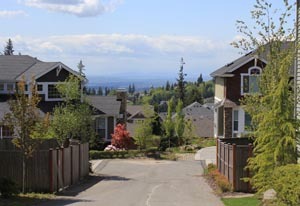 There are plenty of suburban Bellevue neighborhoods with a mix of single family homes and townhomes. 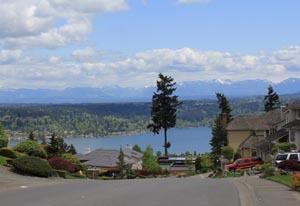 Houses in West, South, or East Bellevue can have water views and city skyline views, as the geography of the city has plenty of variation. Bellevue home values are strong, in large part because the Bellevue School District is one of the best in the nation. Bellevue high schools are annually ranked among the country's 100 best, and its elementary and middle schools garner similar acclaim. Bellevue home owners enjoy a wide range of recreation opportunities including dozens of parks, lakes, pools, and community centers. 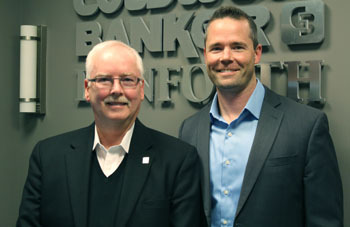 The city's low crime rate and outstanding public services keep residents feeling that their purchase of a home in Bellevue is a worthwhile investment. If you're new to Bellevue, or just looking to find a new home in the area, give us a call and let's start finding the neighborhood, home, and lifestyle that will fit you best for your future in Bellevue.